Smith’s Golf Cars, Inc. and Xtreme Kartz are a family ran business of over 25 years. 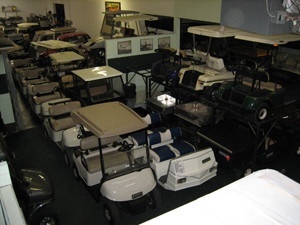 We run a full service golf car and utility vehicle dealership in the wine country of northern California. Our mission is to provide the best possible service and value to our customers. We consider it a privilege to serve you and value your patronage. Only the very best name brand products are represented by our company, and our repair and vehicle construction quality and experience are second to none. The facility is a state of the art shop and showroom, our atmosphere is comfortable and relaxed. We are here to serve you!